It’s easy to understand why soccer fans hate opposing players. They naturally turn against the most gifted opponents since they’re usually the ones who do the most damage to their teams. However, some players are also hated by their own fans as well as just about everybody else. There are several reasons for soccer players to be disliked by so many, including their skill level, dirty play, cheating, arrogant attitudes, and constant complaining. But there are also other reasons in this list of Europe’s 15 most hated soccer players including extra-marital affairs, constant injuries and even tax evasion. Check out the list below to see who’s hated by who, and why. When Belgian international Marouane Fellaini was playing with Everton of the English Premier League it looked like he had the potential to be a star. But ever since his former Everton boss David Moyes brought him to Old Trafford, he hasn’t lived up to the hype. Everton supporters obviously weren’t thrilled with him leaving and at this stage Manchester United fans haven’t been thrilled about him arriving a few seasons ago. 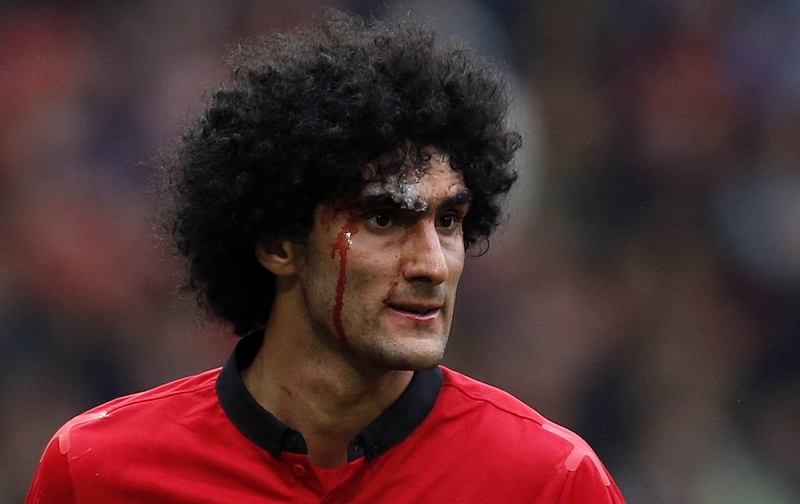 Fellaini’s own fans often taunt him via stadium chants and social media due to his ineffective play, as well as his penchant for receiving needless yellow and red cards at the worst times. Fellaini rarely sees his name on the score sheet these days and while opposing fans are probably glad to see him on the pitch for United, his own supporters generally cringe when he makes an appearance. He’s not a favorite of opposing players either, as he throws more elbows than hockey’s Gordie Howe did. Most players don’t appreciate their teammates having affairs with their wives, no matter how many goals they score. Mauro Icardi, the captain of Inter Milan, is revered by most fans for his play on the pitch, but hated by them for his antics off of it. Icardi carried on an affair with Wanda Mara, the ex-wife of Sampdoria teammate Maxi Lopez, but began dating her while she was still with Lopez. The 24-year-old Argentine international striker then bragged about it on various social media outlets. In fact, Mara ended up divorcing Lopez and marrying Icardi just five months later in May of 2014. Since then, Lopez has refused to shake Icardi’s hand a few times when their clubs have met and Icardi’s become a target of both his own club and international fans. Icardi then went on to anger Inter supporters even more when he criticized them in his autobiography. Thousands of them demanded he leave the team and the club fined him for the comments and made him take them out of his book. English international striker Daniel Sturridge of Liverpool is in an unusual position since his club and country’s fans hate him because he’s so good. The problem with the forever-injured Sturridge is that he’s such a good goalscorer and game-changing player, but he hardly ever plays. Fans realize their team has a far better chance of winning when he’s on the pitch, but Sturridge always begs off because of one injury after another. He has let his club and country down time and time again by missing games because of his endless string of injuries. Many fans feel he isn’t dedicated to the game, just his weekly paycheck. Sturridge reminds many English supporters of former Manchester City, Manchester United, and England player Owen Hargreaves, who seemed to make a profession out of being injured. 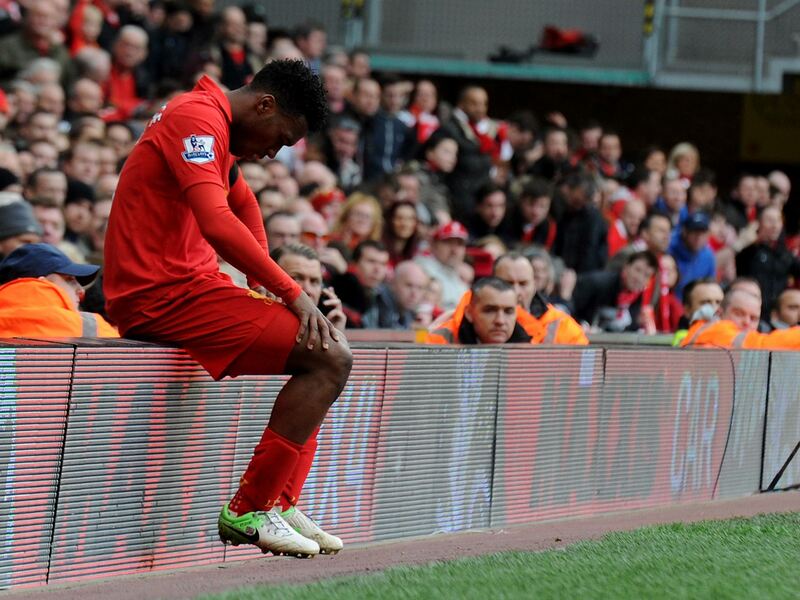 Since Liverpool can’t depend on Sturridge, he may be sold this summer. Brazilian-born Portuguese international central defender Pepe is now winding down his career with European champions Real Madrid at the age of 34. However, fans haven’t given him a break because of his advancing age. He’s definitely not a favorite of anybody other than Real supporters and teammates. Pepe is well known for his physical and borderline dirty play, as well as unsportsmanlike and violent acts on the pitch. He’s also been accused in the past of making racist comments and spitting at opponents during games. Pepe is the type of player you love to have on your team but hate to play against because of the way he gets under his opponents’ skin. The agitator-supreme doesn’t shy away from the rough stuff such as head butting, elbowing, kicking, stomping on opponents and arguing with game officials. He’s also one of the first guys to fake an injury if he’s on the receiving end of anything remotely physical. Spanish international defensive midfielder Sergio Busquets is a favorite with his Barcelona and international fans, but hated by just about everyone else in La Liga. Busquets has the reputation of being an elite diver and injury-faker and is always looking to get opponents booked as often as possible. To be honest, he does this while playing for both his club and country. It’s a shame, really, since Busquets is obviously a very talented player who doesn’t need to resort to such childish tactics. What really annoys fans the most is the fact that Busquets often gets away with it. To add to their dislike of him, opposing fans also like to point out how boring Busquets can be due to his cautious approach to the game. They basically see him as only being creative on the pitch when it comes to the controversial art of simulation. English defender John Terry wasn’t always hated by opposing fans, but that all changed when he started dating the ex-girlfriend of former Chelsea and England international teammate Wayne Bridge. Being accused of racially abusing Anton Ferdinand in 2011 didn’t help matters either and Terry ended up losing his job as England captain. Terry was once a favorite of international fans due to his fearless and determined play and was seen as an excellent leader for both Chelsea and the nation. He’s also been accused of other controversial antics off the pitch, such as parking in handicapped spots, charging money to take fans on tours of Chelsea’s training ground, hurling abuse at American tourists following the 9/11 terrorist attacks, and assault. Premier League fans may not get the chance to boo Terry next year though as he may end up joining Aston Villa of England’s second-tier Championship League. It’s hard to pinpoint why so many fans hate Manchester United and England international striker Wayne Rooney. This guy is the national team’s all-time leading scorer and also holds several club records at Old Trafford. But for some reason, there are a lot of fans who enjoy getting on his case. Sure, Rooney’s definitely not the player he used to be, but he’s a hard worker with good skills, especially at the age of 31. There are a lot of club and country fans who believe Rooney should step aside now and make room for younger legs. It’s also believed he’s going to have to take a pay cut if he hopes to stay with Manchester United much longer. Yes, Rooney’s earned his share of cards due to physical play, but is far from being a dirty player. It just looks like you can’t please everybody all the time. Italian international striker Mario Balotelli has been plying his trade in the French league recently with Nice, but the undisciplined 26-year-old is still a target of abuse from rival fans. Balotelli and his “Why Always Me” T-shirt likes to make himself out to be a victim of some kind of soccer conspiracy, but he brings it upon himself through dirty play and strange off-field behavior. He’s frustrated many of his managers and thousands of fans over the years with inconsistent play, commitment, and work ethic. And it’s because of this that he hasn’t played for Italy since 2014. Balotelli usually wears out his welcome at clubs quite quickly because of his attitude and that’s why he’s bounced around to several teams at a relatively young age. The oft-suspended Super Mario has a well-deserved reputation for dirty tactics and has also been accused of anti-Semitism and racism. Although he’s a heck of a goalscorer with numerous highlight reel strikes under his belt, Swedish striker Zlatan Ibrahimovic is also known as being enigmatic, arrogant, and eccentric. He got under the skin of French fans a couple of years ago by criticizing their nation and has often been booed by his own supporters for what they perceive to be a lack of effort. In addition, Ibrahimovic gives the impression of being a soccer mercenary who doesn’t really care who he plays for as long as they pay him well. It’s interesting to note that Ibrahimovic signed a one-year contract with Manchester United for 2016/17 and led the team in scoring, but wasn’t offered a new deal when the season ended. Could the reason be because of the torn ACL he suffered towards the end of the campaign, his advanced age of 35, or perhaps his attitude? One of the most controversial and hated players in the English Premier League is certainly Chelsea striker Diego Costa. His borderline-dirty style of play and constant agitating gets on the nerves of opposing fans, managers and players. However, it appears that’s what he’s trying to do with his theatrical dives and tackles. Although the 28-year-old was born in Brazil and played two international games with his homeland, he alienated many Brazilian fans by joining the Spanish national team after taking out citizenship in the European nation. Costa doesn’t shy away from trash talking, physical play and feuding with opponents and that’s the main reason he’s disliked by so many, plus the fact he often scores against them. He’s apparently threatened to leave Chelsea and join Atletico Madrid. If that happens, his English supporters may also turn against him. With his long-flowing hair, Brazilian international defender/midfielder David Luiz of Chelsea may have an angelic-like appearance, but he’s far from an angel on the pitch. Most players despise Luiz due to his constant holding and grabbing and because of the fact that he gets away with it on a consistent basis. If referees followed the rule book, Luiz would be red carded approximately every other game. He may be a good player with the ball, but he’s terrible without it and that’s why he resorts to cheating. The 2014 World Cup in Brazil exposed his woeful defending abilities, especially in the 7-1 drubbing the host nation took on the chin from eventual champions Germany. What makes Luiz even more disliked is the way he apologizes to his victims as they lay writhing in agony after one of his deliberate dirty challenges. There’s no doubt that Argentine captain Lionel Messi is one of the greatest soccer players ever and that’s a source of hatred towards him. Opposing fans obviously boo the opponent’s biggest threat and the same is true of Messi. But even non-soccer fans have come to dislike Messi because of his off-field demeanor. Here we have a multi-millionaire athlete who makes more money in a season than most people do in a lifetime. And how does Messi treat his good fortune? Well, it appears he cheats on his taxes that’s how. The 29-year-old Barcelona star was handed a suspended 21-month prison sentence along with his father in 2016 for tax fraud. He was also fined and paid back millions of dollars he owed in back taxes after trying to evade paying them by creating offshore tax havens. Like Lionel Messi, Cristiano Ronaldo will go down in history as one of the best players to ever lace up a pair of boots. And like Messi, Ronaldo has just been accused of tax fraud by Spanish authorities. It’s natural for the Real Madrid and Portugal captain to have millions of fans and it’s also natural there are millions who hate him. Ronaldo is the target of many supporters’ ire because of his constant theatrical whining and diving. Ronaldo always wants to be in the center of the spotlight and won’t hesitate to lay into his teammates during games if he feel’s they’re not feeding him the ball enough. Some people are envious of his looks, good fortune, and talent, but Ronaldo would probably be much more likable if he simply stayed on his feet, stopped complaining to everybody within earshot every few minutes and of course, paid his taxes. What can you say about English midfielder Joey Barton? This is a guy even teammates stay away from. Many fans believe he’s nothing but a thug and should be in jail. He’s not a bad player when he sticks to soccer, but that rarely happens. Barton, who often rants on Twitter, is perceived as a violent person and player who has attacked his own teammates in the past. He is currently serving an 18-month suspension for gambling on games. He last played for Burnley in the English Premier League, but was released at the end of the 2016/17 season. Barton has twice been convicted of violent conduct and served 77 days in jail of a six-month sentence in 2008. He was also handed a four-month suspended sentence for attacking former teammate Ousmane Dabo and has been suspended several times by the English Football Association for attacking opponents. It’s no wonder so many fans and players dislike him. Other than impersonating Mike Tyson by taking bites out of at least three of his opponents, why else would so many fans hate Uruguayan international striker Luis Suarez of Barcelona? How about racially abusing Patrice Evra when Suarez was at Liverpool and Evra played for Manchester United? Or what about the constant diving and crying to match officials? Or his blatant and intentional handball against Ghana in the 2010 World Cup? Suarez has earned the well-deserved reputation of being a dirty player and also saw Liverpool fans turn against him when he forced the club to sell him after signing a new contract. Suarez is a fine soccer player with outstanding goalscoring abilities, but unfortunately he’ll always be remembered more for his teeth than his feet.